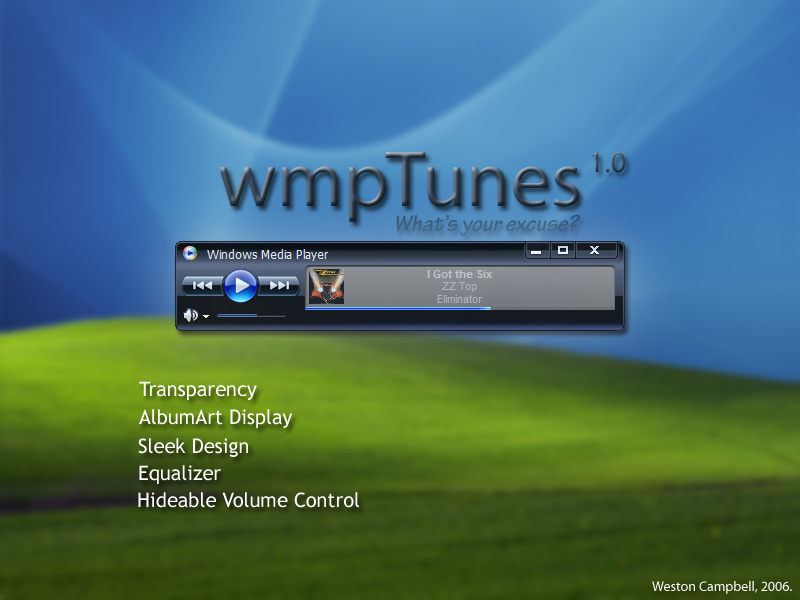 wmpTunes was inspired by the iTunes' mini skin's compact design and Windows Media Player 11's sleek and shiny eye candy. With the combined look of two delicious designs, wmpTunes is sure to appeal to everyone. Note: wmpTunes has been tested using Windows Media Player 11 in Windows XP. Although no errors have been found in testing, some features may not work in older versions of Windows Media Player. -No changes have been recorded. this thing is awesome. . .
Great skin man! Any chance of it being made into a Winamp skin as well? This is a beautiful skin... one question, is there a way to disable the transparency? Yes! What a great idea and well executed too. Yes, it's relly very nice. I like it too. Thank you for your work! The colors are perfect.